The Buffalo Switchmen’s Strike of 1892 is one of the labor defeats that helped build a working-class movement in the United States. 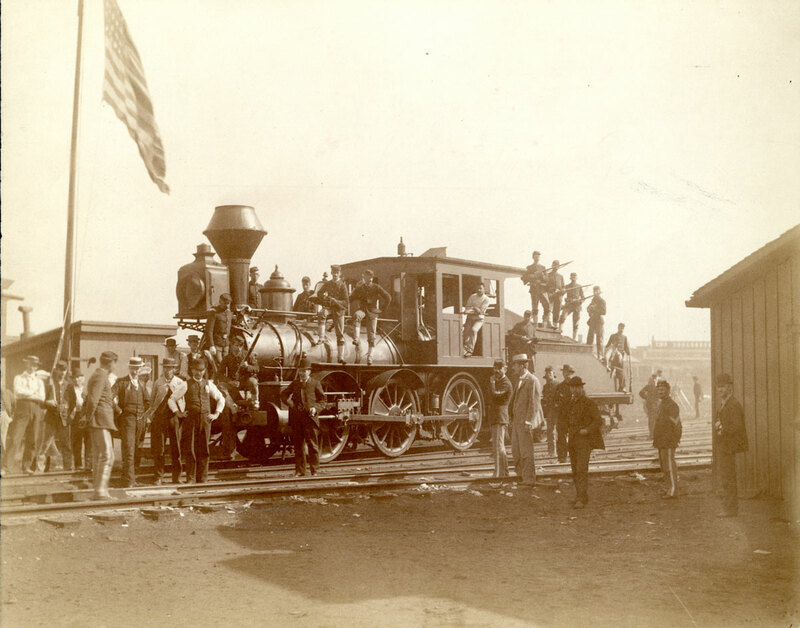 Five hundred fifteen railway switchmen struck to demand recognition of the Switchmen’s Mutual Aid Association by the Buffalo Creek, Erie, and Lehigh Valley railroads. Tensions were high, and a number of strikers set fire to a set of abandoned rail cars. Buffalo police sympathetic to the strikers refused to intervene. Governor Roswell Flower sent 8,000 state militia, shown here in Buffalo, to crush the strike. The militia was commanded by Brigadier General Peter C. Doyle, full-time agent of the Lehigh Valley Railroad. Troops broke up mass meetings, clubbed workers, and imprisoned strike leaders. After failing to secure help from allied unions, organizer Frank Sweeney called off the strike after 15 days. All striking workers were blacklisted. The event, a great lesson in labor unity, led Eugene V. Debs to organize the American Railway Union in 1893.